This is a blow-by-blow from the NY Times executive editor on how the collaboration between Assange, Wikileaks, The NY Times and The Guardian came about and was handled by all parties concerned. Keller describes the reaction inside the US Government as they were briefed on the explosive nature of the leaks, and details the eventual breakdown of relations between the Times and Assange. 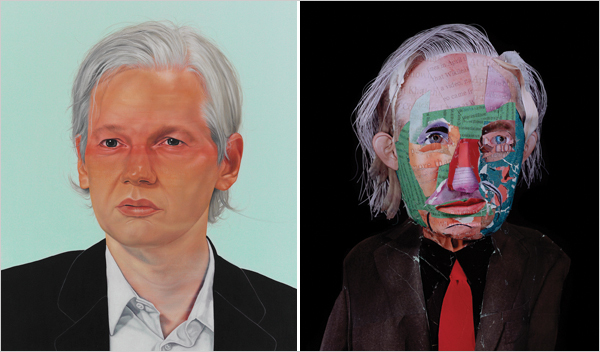 Lengthy, but fascinating in its level of candid detail, it paints some memorable pictures of Assange, and includes a link to a more detailed study of him. The whole article, in fact, is filled with links to other stories that are gripping in their own right and shows the web of connections between stories, events, people and organisations that a story of this magnitude forms. You could easily get lost in this article’s links for several hours, if you had the inclination to explore the web in more detail. The article is 9 pages on its own, but if you have the time and even the slightest interest, it’s worth it. By the end, the article ends its chronology of events and widens to a reflection of the attention and criticisms journalism as a profession has received since the affair broke out, and becomes a steadying reflection on the role of the press in a democracy. The uselfulness of the leaks themselves – what are they for? Who do they benefit? What’s the point? Risk – to individuals and their opinions revealed in diplomatic cables and so forth. Who do they harm? Who might they harm? Keller goes through the different harm minimisation measures taken by the news media as opposed to the treatment of sensitive information by Wikileaks itself. Accusation of news media losing independence by way of partnership with Assange. Keller has had the chance to consider these issues and his own beliefs over past months and he shares them freely and carefully. This entry was posted in Non-fiction, Various and tagged Article, Assange, Bill, Current Affairs, Government, Guardian, Julian, Keller, New, States, Times, United, US, Wikileaks, York by Emma Young. Bookmark the permalink.